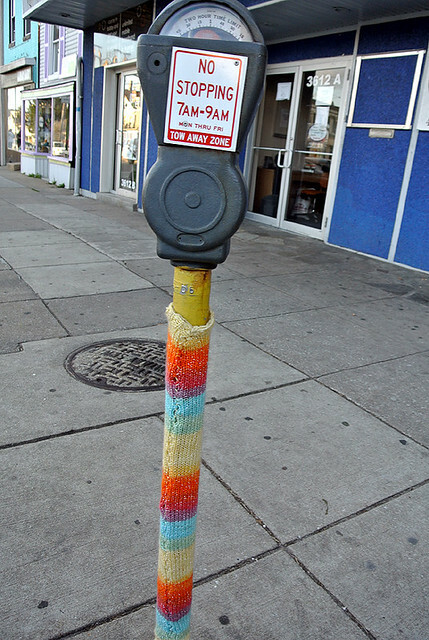 Lovelyarns is having a yarn bombing contest! Winner and runners up will be announced June 2nd and will receive a load of great prizes including a $50 Alchemy Gift Certificate, $50 Lovelyarns Gift Certificate, $30 Kiss n Makeup Gift Certificate and $25 Ma Petite Shoe Gift Certificate! Also, their grand re-opening is this Sunday, April 22 from 12:00 – 4:00pm. Cupcakes, wine, snacks and door prizes every half hour. Plus knitting out in the backyard in a tent!